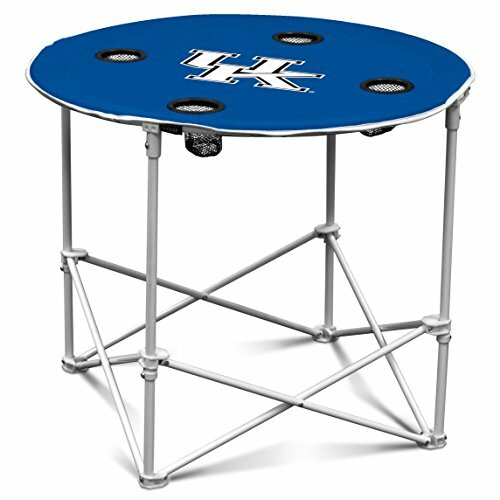 This portable table is made of 600 denier polyester and measures 30” in diameter. Folds down to a semi-circle and comes with carrying case for easy transport. Features screen printed logo and four cup holders. Perfect for the little ones! Rivalry Junior Chair is a kid-size chair, with full length pillow in backrest. It is weight rated for 175 lbs. It is easy to fold and unfold, lightweight yet durable. True powder coated steel frame. Includes insulated cupholder. Team logoed on seat back. 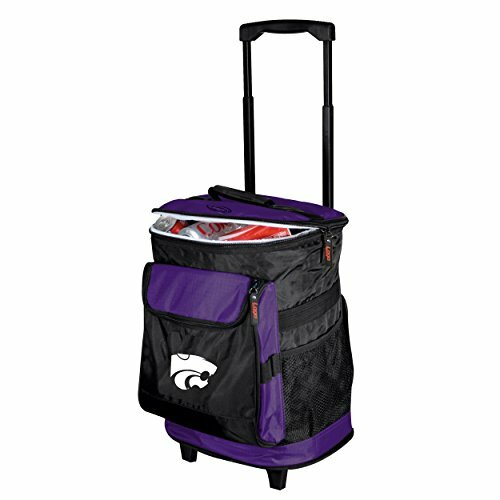 Includes team logoed carry bag with shoulder strap. 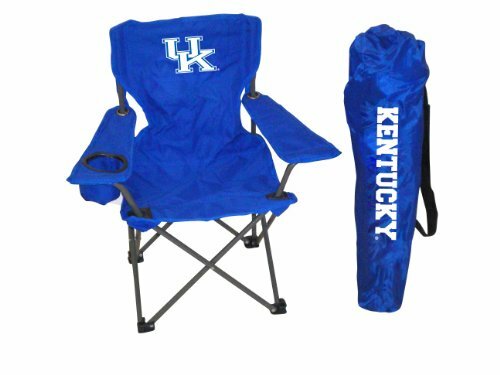 The NCAA Portable Folding Tailgate Chair with Cup Holder and Carrying Case is essential gear for any outdoor social event, whether you are tailgating before the game or just want to show off your school pride at a backyard barbecue. In addition to the no-sag comfort seat, there's a mesh cup holder built into the armrest to keep your favorite drink handy and a matching carrying case for your traveling convenience. 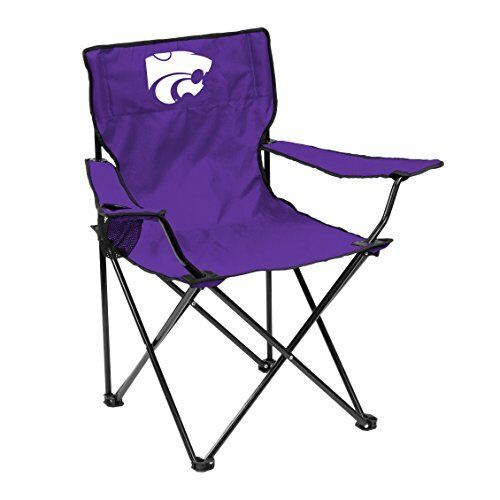 Also known as a camping chair, this surprisingly lightweight seating option prominently features your team's logo in a dual-color pattern. Made of 420 denier polyester and measures 13.5"x12"x14.5". Frame is made of white powder coated steel tubing. Two hinged clips on bottom for attaching to bleacher. Team logo screen printed on the front and back of headrest, back angled for comfort. 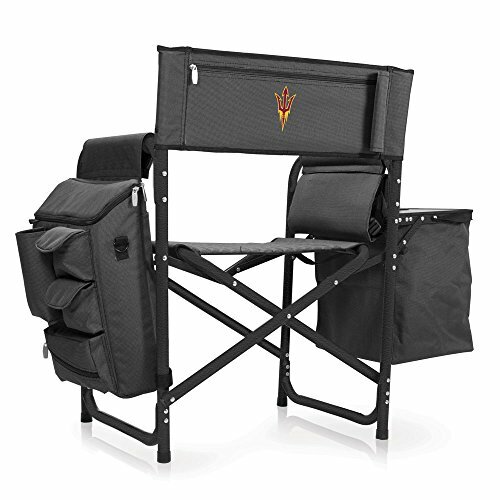 This NCAA Reclining Camp Chair features a folding steel frame that can hold up to 300 pounds, a padded seat and back rest covered in durable 600D polyester canvas with your favorite team's logo. Three seating positions add to this chair's functionality, along with the adjustable armrests, an insulated drink holder in the right armrest, a large zippered pocket on back of chair, and a matching storage tote with carrying strap. 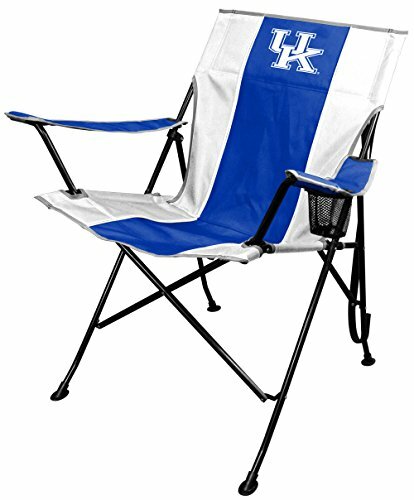 The Reclining Camp Chair is great as a spectator chair at sporting events or for outdoor activity such as lounging by the lake or beach, camping and fishing. Throw this chair in the back end of the car, so you are never without it. Made of 1680 denier polyester and foam insulation interior. Heat sealed leak proof PVC interior lining. Features pull out handle with smooth rolling in-line wheels. Zipper storage compartment on front features a 5" embroidered logo. 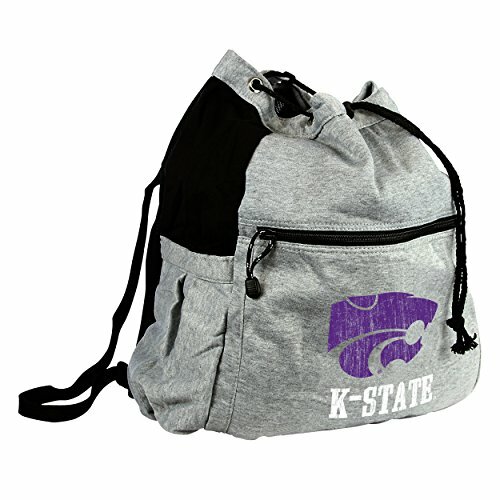 Also has two convenient elastic mesh pockets on the sides. Holds 24 12oz. cans plus ice. Also features backpack straps for carrying on soft surfaces. Front of bag is made of sweatshirt material, screened with a distressed school logo. 2 ply breathable mesh backing (same as what is on our string pack). Drawstring cord for closing the bag. A pocket on each side capable of carrying drink bottle and a zipper pocket on the front of bag. Interior is lined with a nylon polyester lining (same material inside gym bag). 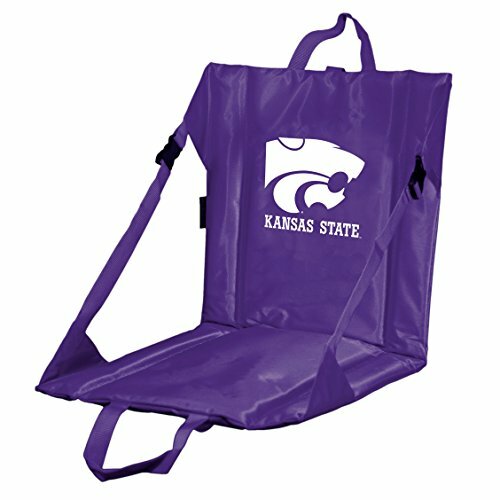 Made of durable 600 denier polyester and measures 16"L x 14.5"W with cushioned back support. 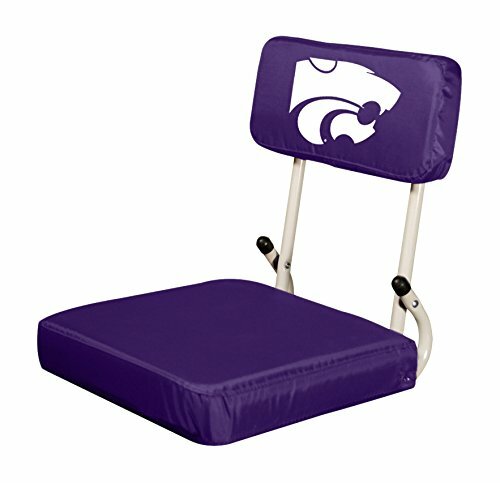 Features velcro strap to secure seat to bleacher and adjustable reclining straps. Logo featured on the front and back of seat. 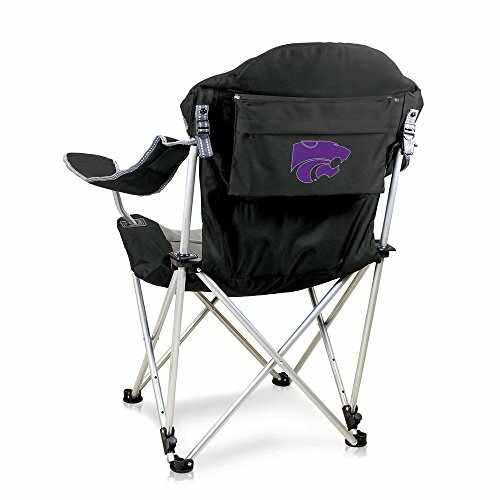 Compare prices on Wildcats Folding Tailgating Chair at ShopPlanetUp.com – use promo codes and coupons for best offers and deals. We work hard to get you amazing deals and collect all available offers online and represent it in one place for the customers. Now our visitors can leverage benefits of big brands and heavy discounts available for that day and for famous brands.